Have you lost your Acura car key? Did you break your Acura car key? Don’t worry, we can replace your Acura car key within minutes. We know how frustrating it can be when you lose your Acura car key. With this in mind, it’s even more annoying when you get late out of work, or early in the morning. When you lose your Acura car key, you call every locksmith in town, asking for price and looking for the best way to replace your Acura car key. or key fob. In case you are trying to get your Acura car key replacement with a local Acura car dealership, you may know he will charge you a great amount of money. And in a case you feel exhausted calling all locksmiths in town, you should call us. Contact LockTech24/7 when you need to replace an Acura key. This includes if you need to replace your Acura smart key remote or keyless entry remote. We can help you replace your lost key in a fraction of price. We are proud to offer Acura locksmith services in the Lehigh Valley, PA! 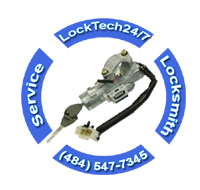 LockTech24/7 provide 24/7 mobile locksmith services. 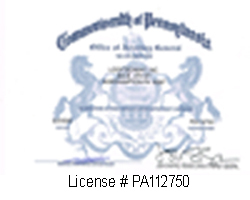 This means wherever you’re located in the Lehigh Valley, we can be there for you. Our technician arrives fast! We cut and program your Acura key on the spot, while you’re waiting. Perhaps you ask how long it takes to make a new Acura car key? Well, it depends, but we can say most Acura car key replacement takes approximately 30-60 minutes. Whether you lost your Acura key or broke it, we can help! If you need Acura key duplication, we can even make it cheaper. 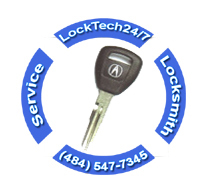 LockTech24/7 Acura locksmiths can make a new key for your Acura, soon after you call us. We cover all models of Acura and of any year. Replacing your Acura car key can be hassle-free if you call LockTech24/7. With this in mind, our Acura locksmith is ready for any type of service you may need with your Acura. This includes Acura’s door opening, cutting transponder Acura keys, including laser cut Acura key, as we as Acura key programming. If you want a professional mobile Acura locksmith service, you may call us. We offer Acura keys replacement. in a fraction of price compare to the car dealer. Unlike a car dealer, we’re also available to receive key codes of older cars than 10 years. Does your Acura ignition lock is jammed and you’re stuck on the road? Do you have hard time to turn your Acura ignition lock to ON/OFF positions? First thing to remember, we’re waiting for your call. Our Acura ignition repair experts can come anywhere in the Lehigh Valley PA, whether you’re in Allentown, Bethlehem, or Easton. Additionally to lost Acura key replacement services, we also provide Acura ignition lock repair or replace. As you can see, we’re able to solve any task you may have with your Acura.